Why am I talking about how 3 generations of my family have an ongoing fixation with a 15 year old TV series and movie? Well mostly because when I sat down to review a £500 pair of Razer PC speakers (the Razer Nommo Pro), my initial sense was probably something along the lines of what I felt when my dad was trying to convince me to watch Firefly. Meh. I’ll give you a clue as to how this review is going to end up: The parallels don’t end there. 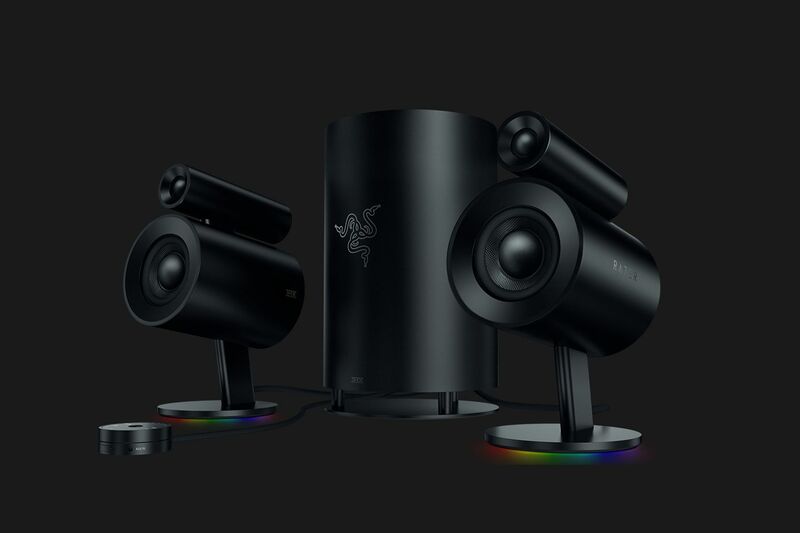 Back in March I reviewed the Razer Nommo Chroma PC speakers (here) and noted the interesting shape and that hasn’t particularly changed with the Razer Nommo Pro. We’ve still got the hairdryer look, slightly larger than before and also now angled slightly upwards with a somewhat traditional tweeter flourish sitting on top for the high end. This time round however we do get a sub and it’s a sizeable beast. An optical cable, control pod, 3.5mm aux input cable and obligatory Razer stickers round out the collection. 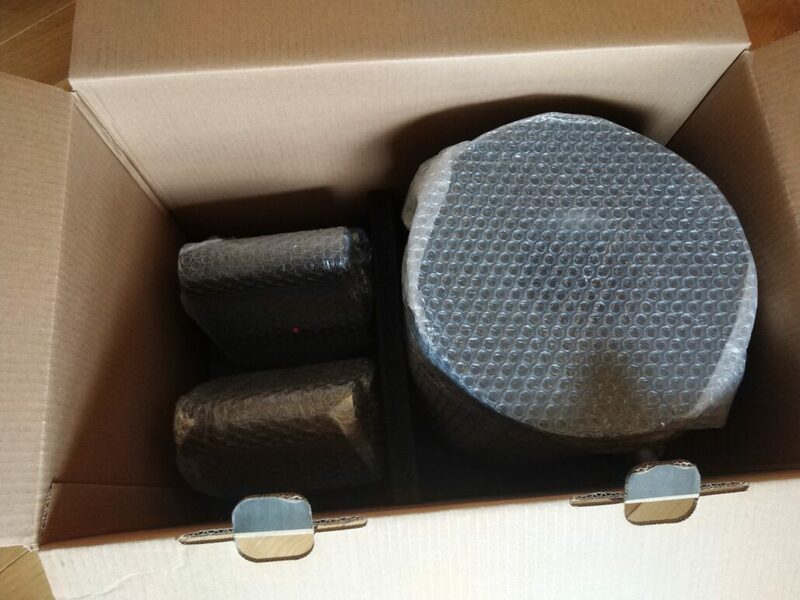 It’s all well packed and suitably hefty to give some reassurance to anyone who has just blown what to me is a huge amount of money for PC speakers that they’re getting a quality item. Final note, on the contents, I’m somewhat surprised to see that Razer have put a ferrite core around the power lead. Before I delve into much more detail, it’s important to note that audiophiles, audio geeks, lapsed audio geeks (as I consider myself) and others are a superstitious lot. Sound quality is probably 3 parts scientifically measurable, 1 part subjective and 1 part witchcraft. Or maybe that should be 4 parts witchcraft, 1 part science. No actually scratch that, let’s go with 33 parts component quality, 17 parts build quality, 15.5 parts decoding formats, 4.5 parts brand identity, 8 parts snobbery, 10 parts room acoustics, 2 parts personal anatomy and age, 10 parts witchcraft. Oh damn, I forgot component matching, impedance and other general science. Anyway, you get the idea, there’s a lot that goes into online arguments about audio. One of these things is the benefit (or lack thereof) of ferrite cores which, sure, if you’re setting up a perfect studio for pro use and you’re going to scientifically calibrate everything to the nth degree etc, you may want to consider. But for PC speakers? Ok, maybe it’s a statement of intent and cost be damned. It’s not like they’re expensive, but there may be some audio people out there who feel that it can’t be a proper audio thing without a ferrite core, but at the same time, power inside a PC is likely extremely unclean from an audio perspective with interference all over the place. I just don’t see it likely to particularly make much difference to sound quality. As is usually unfortunately the case for PC audio, Total Harmonic Distortion (THD) isn’t quoted. That much said, at least you don’t need to purely rely on my aging ears perception of distortion. That’s because these are THX certified speakers. 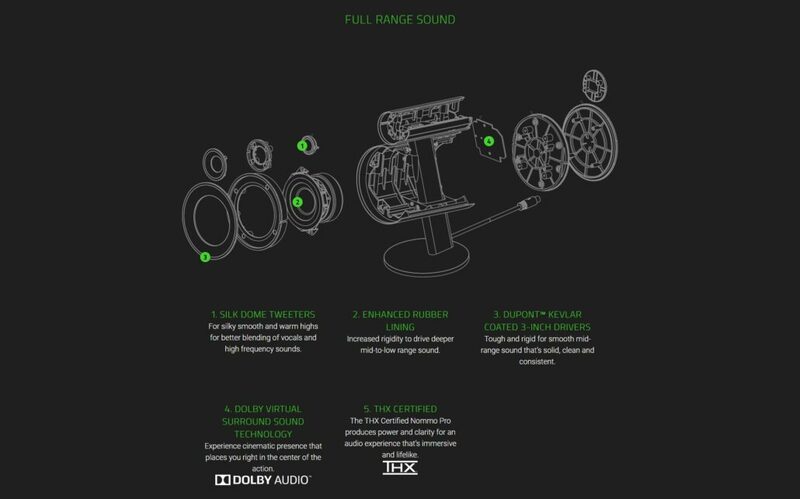 THX has expanded its certification offering in the years since I used to spend too much money on Meridian home cinema systems and it now offers certification for everything from cinemas down to relatively inexpensive hardware for PCs these days. It’s a far cry from the days where you couldn’t really touch a THX certified system for much less than 5 figures and although I’m out of date on the details of all the THX certification levels, a little bit of reading on the THX website seems to indicate that this would be a “THX Certified Multimedia System”. 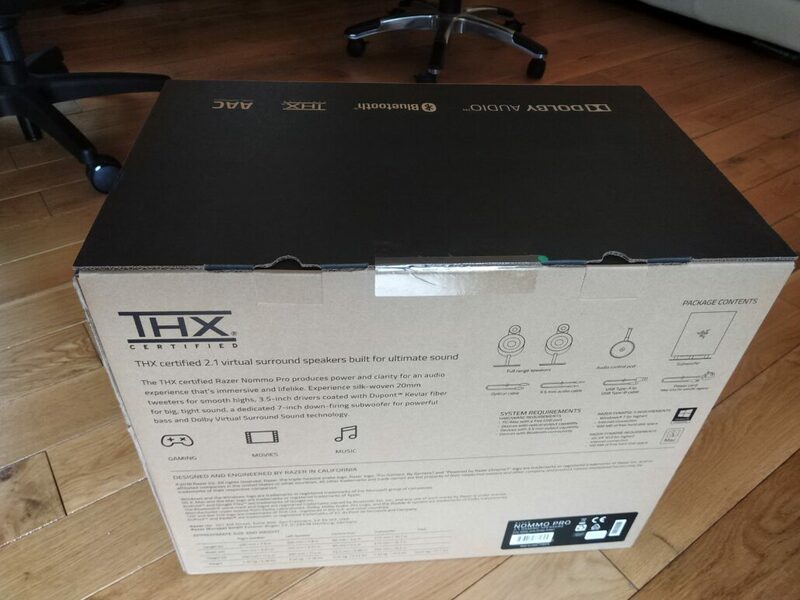 According to THX, this is for desktop speaker systems for gaming, music and movies and these systems have to pass over 700 tests so although it’s doubtless at the cheaper end of the THX experience, it sounds like they’re still being stringent in how they certify equipment. One of the requirements of this category is that the frequency range needs to go down to 35 hertz and up to 20,000 hertz. Crucially, another aspect is that the speaker has to deliver THX Reference Level volume without any AUDIBLE distortion. THX Reference Level being the volume at which audio content is mixed in THX Certified studios. These systems need to play at 85 dB output plus another 20 dB of headroom at a listening distance of less than one metre. What this means is that for all intents and purposes, although we don’t have a THD figure, you can be assured that distortion levels are low enough that you won’t notice them at loud volumes. It’s a leaf out of the Apple playbook in some ways. The “who cares about specs, as long as it works” approach. The trouble is, you know who cares about specs? PC gamers and audio geeks. The speakers could be mind-blowing, but I can’t go to my mate round the corner who has an Arcam and can quote me 0.2% THD because he’ll (rightly) just scoff at me. 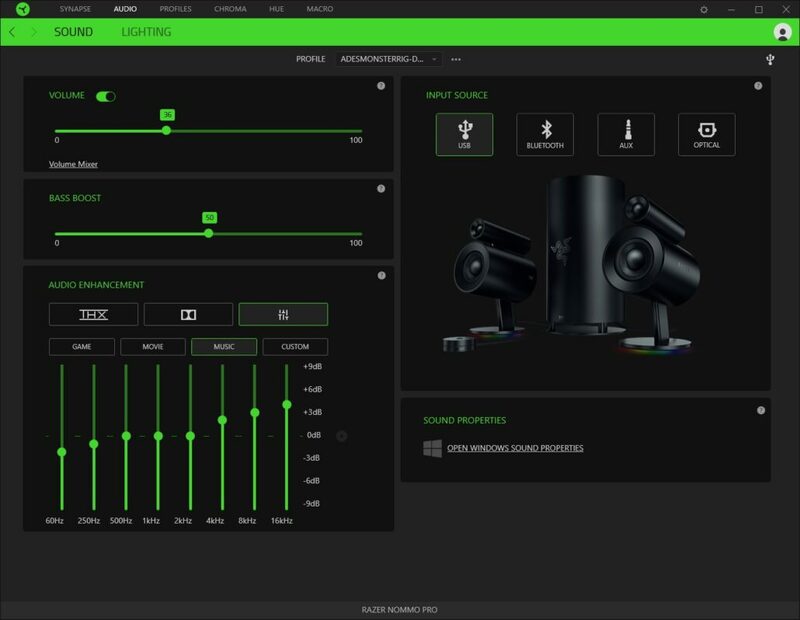 Razer has review guides it gives out for audio products these days but I have a set way of reviewing audio that allows me to compare products across a broad set of playback situations so as usual, I rip up audio review guides and throw them out the window. I’ve still got the Nommo Chroma speakers so it’s now a direct comparison. When I reviewed them previously, they performed about as well as I expected, which is to say that they weren’t great. The Pro’s literally blow them away. This isn’t a competition, it’s a walkover. Then a thought strikes me. Since I had kids and got rid of all the real audio geek paraphernalia, I’ve been using a great compromise device, a Yamaha YSP-2500 soundbar. It’s a far cry from a serious system but if I compare it to the 5.1 setup I had almost 20 years ago, it probably gives me 98% of that at a fraction of the price and space I needed (that was before the Meridian stuff, an upper end Harman Kardon receiver and KEF speakers). It’s a £750 soundbar so we’re not talking miles away on price from the Razer Nommo Pro. Now, before you lose it because you’re an audiophile and I’m comparing a 2.1 system to a virtual 5.1 system with stereo music, I get that. But at the same time, it’s got a stereo mode and it’s all I have on hand in a similar price range and I regularly listen to music through the Yamaha and find it pretty good actually. Well, surprisingly, I find the Razer Nommo Pro better. I’ll let that sink in for a bit. Yamaha (among many other things) is a decent mid-tier audio company. There’s a hell of a lot of audio expertise working there both in creating and reproducing sound. In many ways it has owned the soundbar form factor having won numerous awards for them. And the cheaper Nommo Pro’s on the first time of asking are winning. Next up, Eddie Van Halen’s ode to the electric guitar that is Eruption. 1 minute 43 seconds of raw musical energy. Again, the Pro’s destroy the Chroma. The Yamaha though is gaining ground now. Where it (like much audio) struggles with the delicate nature of the classical piece, both the Yamaha and the Razer are much more geared towards big, loud, strong audio and it shows. Even so, that the Razer’s are keeping pace with the soundbar is impressive. Final audio piece, Pink Floyd Echoes. More an audio experiment than a song and at 23 and a half minutes long, a great excuse to sit back and close my eyes to just enjoy the sound. Half an hour later and I’m a very happy camper. The Razer’s handle the wide ranging song with a decent depth and precision, perhaps a touch bass heavy in places and I find my first opportunity to start playing with audio settings in Razer’s Synapse software platform. 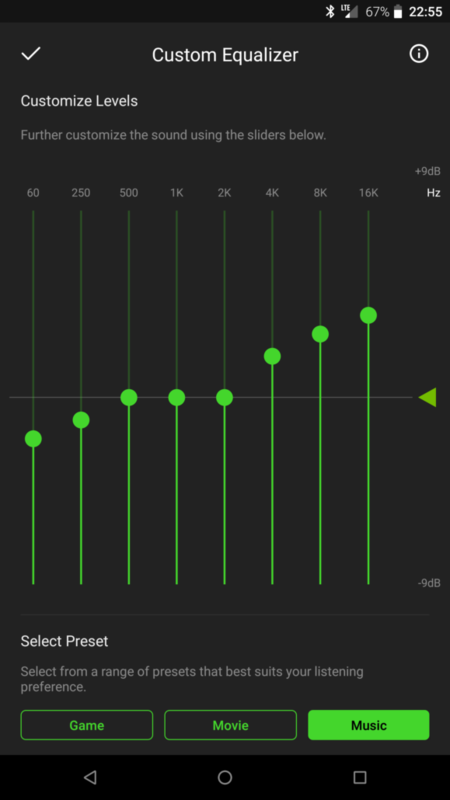 The system is relatively straightforward, there are a number of presets, including a THX option, 3 Dolby options (Game, Movie and Music), along with custom (also with its own Game, Movie and Music presets) adjustments for 60, 250 and 500Hz as well as 1, 2, 4, 8 and 16 kHz with -9 dB to +9 dB options on each. 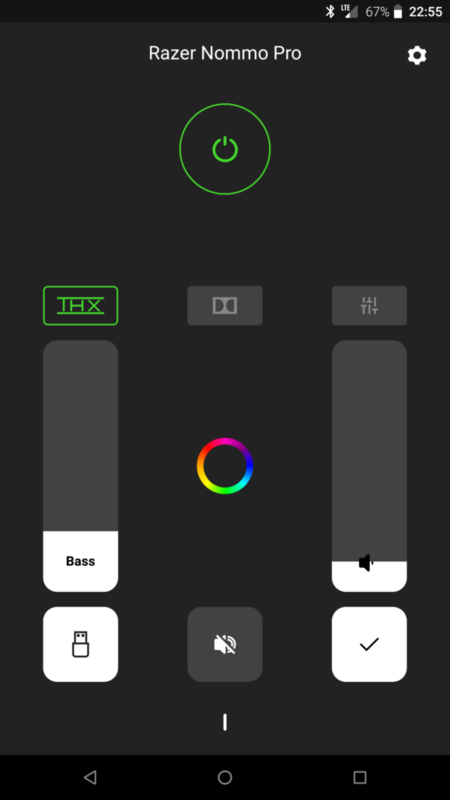 Twiddling the bass down to 25 and using the custom (Music) selection gets me what I’m looking for. I’m sure I’ll spend ages on a specific custom level for my personal taste later. Note to Razer. Audio geeks like to be able to save multiple custom profiles for their different listening requirements. All this allows you to do is set one. Also, if you’re in custom (Game, Movie or Music) and then change a particular level, it copies the entire preset over to your Custom profile with only the modified bar you dragged changed, effectively overwriting anything you’ve already setup in Custom for yourself. All in all, the Razer Nommo Pro is excellent with a range of music. It’s Razer, so this is where we should be doing well. My standard fare of Doom (2016), Alien Isolation and Star Citizen will serve here. Doom is a great game. I’m not particularly good at FPS games but I loved the original and the reboot was amazing (played on medium difficulty since, as I mentioned, I’m not great at FPS!). Games with great audio do their thing by really making the player feel the impact of what is on screen (or not in the case of Alien Isolation!) via sound. Doom is no exception to this and does an amazing job or placing the player in the heart of demonsville. Here the Razer Nommo Pro does a great job as I’d expect. Blasts come with appropriate levels of room-shaking bass and the precision tight sounds of the various weapons come through perfectly. What I do slightly miss here is a dedicated 5.1 system which would give me some proper rear audio. Fiddling the various Dolby and THX options helps things somewhat but of course you’re never going to get the kind of sound you would if there were speakers behind you. 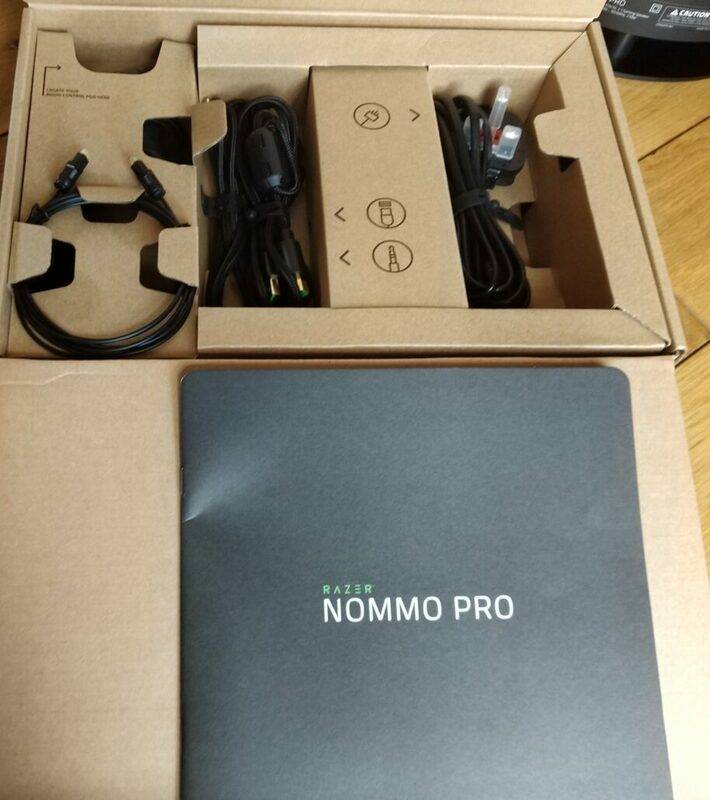 Overall however, the sound emanating from the Nommo Pro’s is excellent and I struggle to find fault with them. Alien Isolation is another great audio game, despite starting to show its age visually. In many ways, the audio is more important at times than what’s on screen and the Nommo Pro’s do an excellent job here of enveloping the user in the terror that is the game. Left and right do a great job and virtual surround does what it’s meant to which is convey that something is rearward even if it sounds unnatural. Precision of sound is absolute. To Star Citizen and FPS mode again, although here it’s with other people. As usual, I find myself finishing close to last or last although through no fault of the Nommo Pro’s. The audio of the game is excellent as always, positional gunfire, quantum travel and of course my personal favourite, dogfighting brings the exhilaration it should. Audio here is both tool and art. The soundtrack is epic and I love the launcher soundtrack too. It doesn’t get much better than this. So let’s get the obvious out of the way – I love these speakers. 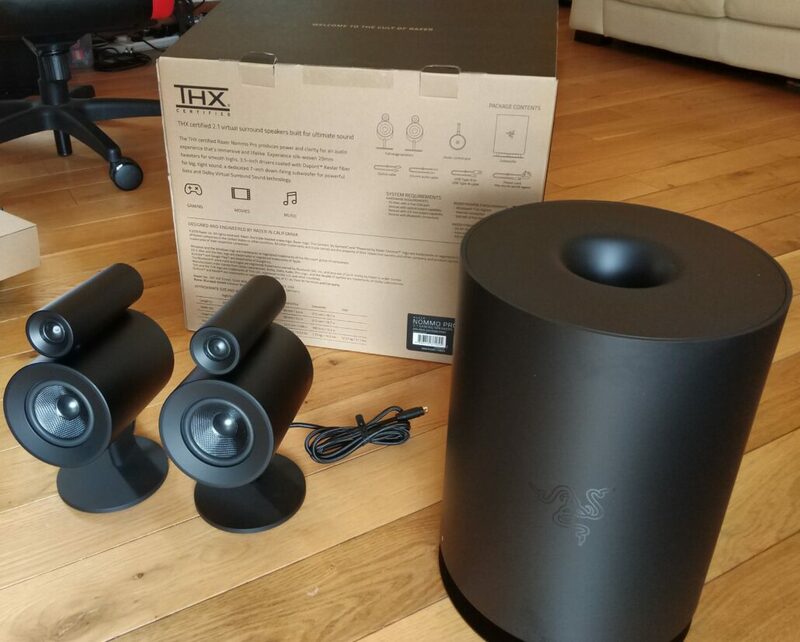 Much like Firefly and Serenity, it was with a degree of trepidation that I sat down to first audition a pair of £500 Razer PC speakers. Because the rational mind says that they simply shouldn’t be. Razer has no business putting out speakers in this price bracket. NO BUSINESS, Y’HEAR ME?! Yet despite that, they’ve done what I thought was impossible and converted me. As with Firefly and Serenity, I have been totally and utterly won over. The sound is simply excellent whatever I throw at it. Jazz, pop, rock, hip hop, classical, games, movies, these speakers do it all and they do it well. As such, I’ll absolutely give them an award and it is entirely deserved. I’d probably have shrugged, thought about it and suggested you spend at least a few grand on a decent surround receiver like an Arcam or similar and 5.1 speakers, take an optical out from your PC into the receiver and be on your merry way. If I was genuinely going to take audio seriously again, that’s probably still the route I’d go. Audio out of PC’s I often find a compromise. Just plug some earphones into your PC’s 3.5mm jack and wait for the pulses and buzzes and blips and everything else that pours into your ears, it’s disgusting! Optical out would probably be my best guess at how to isolate the audio from the power blips and other electrical interference that are likely screwing with the audio that gets pumped out of your PC’s 3.5mm jack. Gaming headphones? Lol. So what we have here is a great system. Razer of course owns THX these days and it feels like a stake in the ground to say “PC gamers no longer have to put up with mediocre audio!” The question really is, will the market bear the pricing? Putting them alongside my (admittedly a few years old now) Yamaha YSP-2500, these speakers hold their own and then some. For that alone the price is justified in my eyes. But look at “high end audio” for the PC. B&W (a company with an exceedingly good audio pedigree) has vacated the space with their excellent initial foray priced at £400. After a few years, they were discontinued and not replaced. 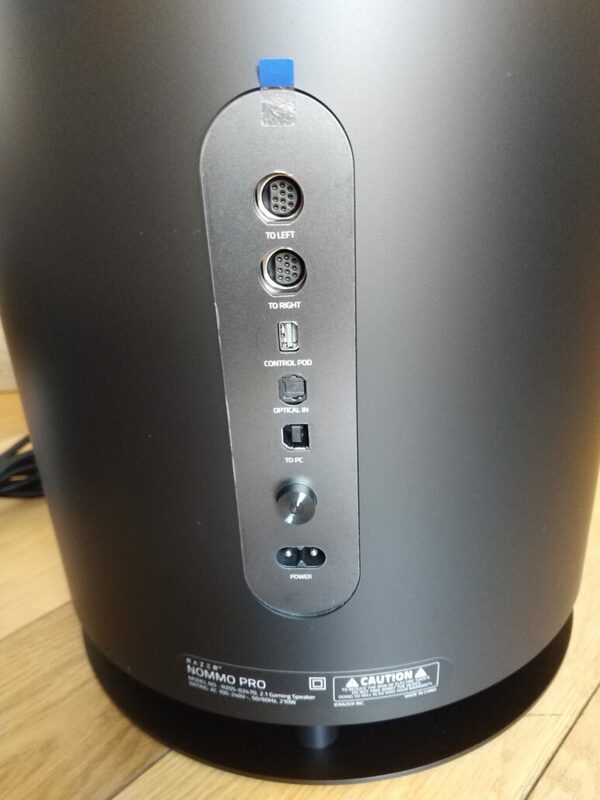 Bose (I know, don’t start) top out their PC range at £300. KEF has either the EGG’s at £350 or the LS50’s (which, let’s be honest aren’t really meant to be PC speakers) at £2,000. 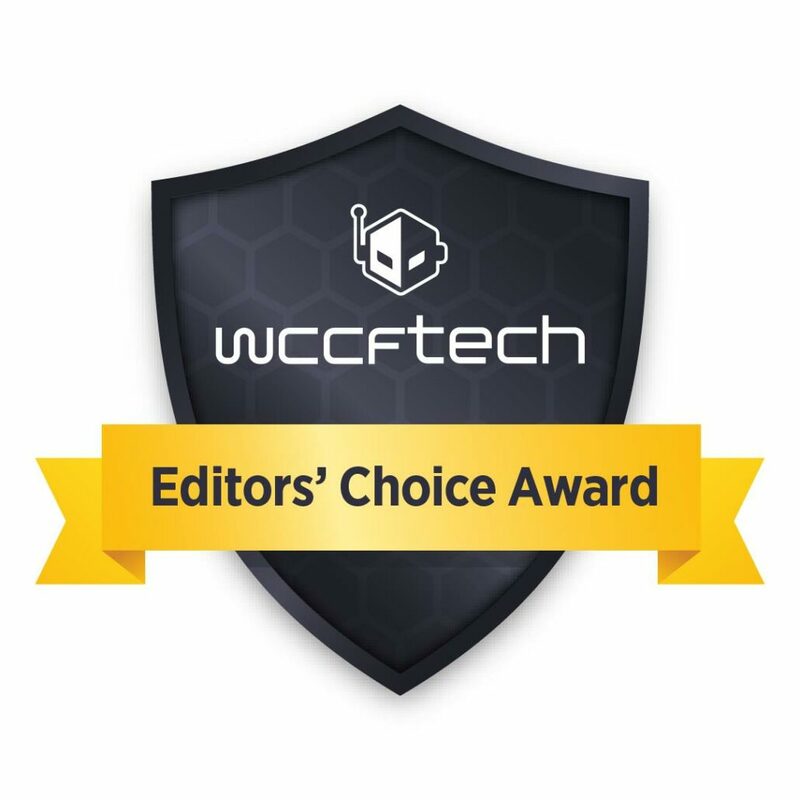 The Razer Nommo Pro’s fully earn themselves an Editor’s Choice award. The best PC speakers I've heard.